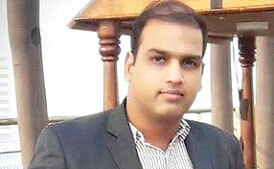 Sourabh Tiwari has joined Meril Group (Healthcare industry) as the Group CIO at and he would report to the MD of the company. He provides several leadership roles for the continued development of an innovative, robust, and secure information technology environment throughout the industry. The primary responsibilities for this office encompass a wide variety of strategic technology issues: governance and policy, resource allocation, information technology protocols, also serves as the day-to-day lead for coordinating and managing the various functions within Office of the Chief Information Officer, and coordinates with and provides advice to the Department’s senior leadership regarding IT, information management, information assurance, and website activities management and operations, delivery of IT infrastructure and services, information security systems and compliance, administrative systems, and client support services. He has nearly 19+ years of experience in the planning, development, delivery, and monitoring of technical solutions that address the needs of his customers in support of their missions. Most recently, as the Chief Information Officer for Meril Group in Mumbai Vapi, India. In this position he oversees an information technology (IT) portfolio of $1-2 million in programs. He holds a BE and MBA in IT & Management, from Pune University, and holds a variety of technical and professional certifications, including the Project Management Professional PRINCE2, CSM, ITIL, HCI, IOT & Blockchain Professional certifications. Key Priorities for 2019- System orchestration, Integration & AI.